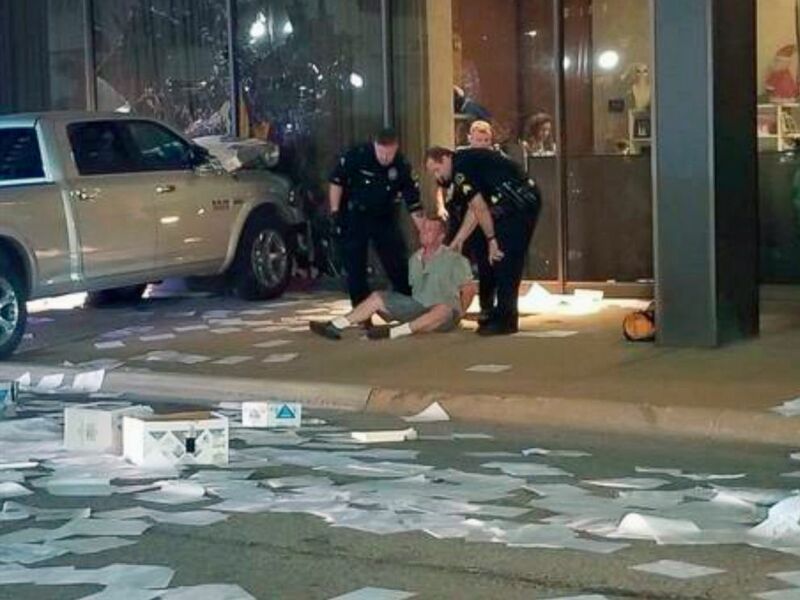 A man has been arrested after he intentionally rammed a truck into Dallas FOX 4 news station’s building multiple times Wednesday morning, according to the TV station. Police do not believe he was directly targeting the media. The man’s motive remains unclear. No one inside the building was hurt. The suspect, 34-year-old Michael Fry, was arrested and charged with second-degree felony criminal mischief. Fry has a history of prior arrests in neighboring Denton County, officials confirmed to ABC News. 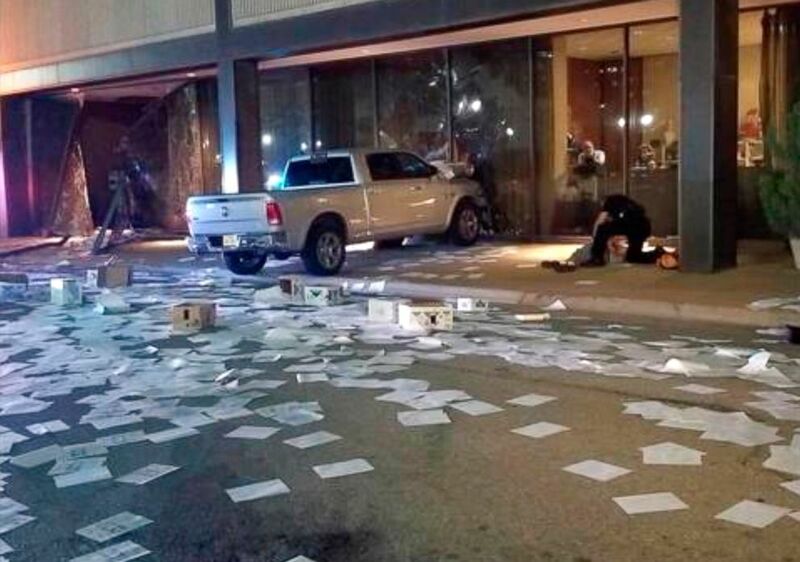 After crashing the truck into the studio, Dallas Police say Fry placed a bag from his vehicle by the building. The bag and the suspect’s truck were cleared by the bomb squad after no suspicious devices were found. 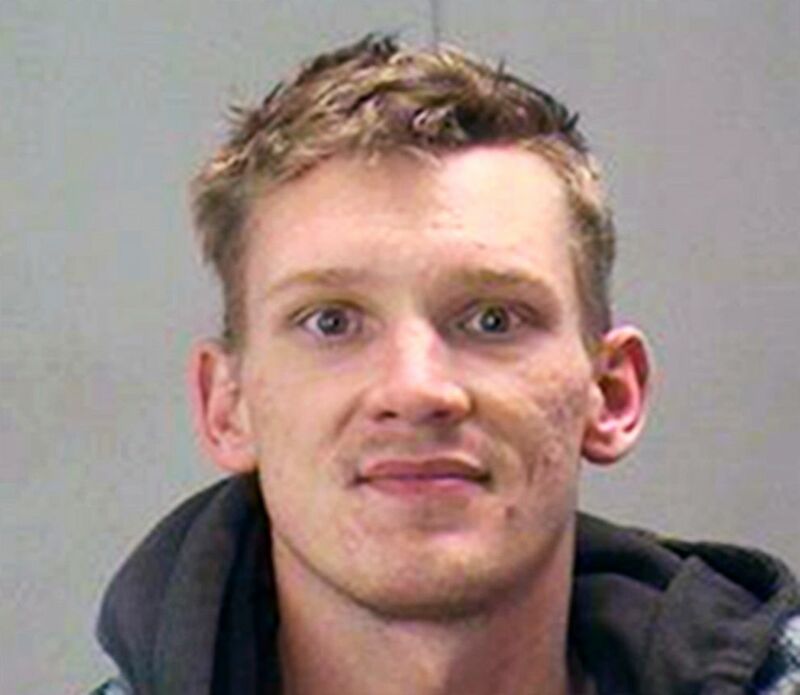 Michael Chadwick Fry appears in this mugshot provided by the Dallas County Jail, Sept. 5, 2018. Fry was found in an agitated state, rambling nonsense when deputies arrived at the studio near 6:00 a.m., said Dallas Police Senior Corporal Debra Webb. A slew of papers had been scattered across the parking lot with remarks about an officer-involved shooting in Denton County. Among the papers were printouts from a 2012 article by ABC affiliate WFAA regarding an officer-involved shooting in Denton County, when the driver, Roberto Carlos Hernandez, was accused of ramming a sheriff deputy’s cruiser. Hernandez was fatally shot by the deputy, and Fry was a passenger in the vehicle, WFAA reports. A man is detained after crashing his pickup truck into the side of the Fox affiliate television station building in downtown Dallas, Sept. 5, 2018. Fry covered the 2012 article copy with expressions including “witchery,” “conspiracies,” and “we need the calvary”. He was transported to Parkland Hospital for evaluation, where he was released and then moved to a Dallas County jail. It’s unclear if Fry has hired a lawyer as of yet to represent him. Fry pleaded to reporters, saying he’s not smart or powerful enough and is mentally challenged. WFAA stands by the facts in the original article covering the October 2012 shooting, according to a statement released by WFAA President and General Manager Brad Ramsey.